As I start to write this, I’m sitting in the midst of the tranquil beauty of Europe’s largest green park right in the heart of Dublin, Ireland’s capital. I’m trying to express why you should travel to Ireland, while simultaneously trying to fathom that by this time tomorrow my time in this wonderful land will have come to an end. I have this burning feeling that I needed more time, that I should have stayed longer, that I missed out on a lot, or maybe it’s just my wanderlust at work, but I wish these past 3 weeks could replay themselves on an endless loop. The things I’ve seen, the landscapes I’ve ogled, the countless number of wonderful people I’ve met and the overflowing ‘craic’ I’ve experienced, is rather difficult to transpose to words. Drawing inspiration from a land that has produced some of history’s greatest writers, including my favourite poet, Sir William Butler Yeats, I begin working on a whole travelogue that will chronicle some unforgettable memories from The Emerald Isle. This is a prologue to what will be a multi-post series, and given the grand extent of distance I’ve covered, I’d reckon it makes most sense to sort this by ‘counties & areas’ making it easier for everybody to navigate & track my trail. 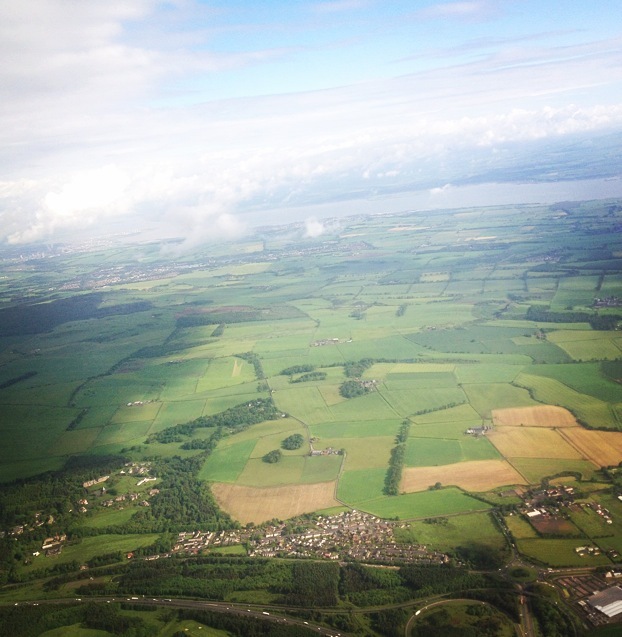 The first thing I noticed as my flight began to descend upon Dublin airport, was the breath-taking greenery. It’s not like there isn’t enough green where I come from – outside of Mumbai, India’s a pretty green country, but the endless expanse of it & the sheer number of different shades I’ve seen while I drove through the breath-taking roads, can be truly unsettling at times. The absolute same, can be said about the shades of blue you will see. I was welcomed everywhere with open arms, because the naturally superstitious Irish believed I brought a heatwave along with me (their heat waves are anything northwards of 20°C). To put it in the words of a local, “for a country that sees 4 days of sun a year, this is the best weather in a century”. This meant, knowingly and unknowingly, I timed this trip perfectly. Somehow I completely managed to dodge Ireland’s notoriously “now sunny, then stormy” weather. It also meant long, 16-18 hour sun-days, which meant extra time to savor the beauty around. An island country, Ireland is surrounded on all sides by water. The east and south make up the relatively calm waters of the Irish & the Celtic seas. The west & the north are ravaged by the relentless, beautiful Atlantic – and though a tough call to make, this probably is the prettiest part of the country. The route we took is commonly known as the Wild Atlantic Way, this drive from the west of County (henceforth abbreviated to Co.) Cork, right up to Malin’s Head (Ireland’s northernmost point) in Co. Donegal in the north, makes up the tourist friendly road route & a photographer’s goldmine. Don’t let it’s billing as a tourist destination put you off – it’s one of the rare things in the world that truly deserves the attention, and for those who are willing to make that extra effort, you will consistently find virgin spots & towns to explore; far from the realms of mainstream tourism. At this point, I should mention that I was accompanied by two beloved friends on this wild adventure, and I’m greatly thankful for their company which allowed us to split our joys between driving through the winding rural beauties of Ireland and looking out of the window at frame after frame of ever changing, stunning landscape. We haven’t been to Ireland yet, but it is a place that is on our list! Mostly for the exact things you talked about, especially the bright green landscapes. They don’t call it the emerald isle for nothing! Thanks for sharing your adventure! Dublin is the perfect destination if you want a truly European escape. I especially like the weather and the pubs which are full of people there. I live in Scotland and Ireland is ridiculously easy to get to from here… but shamefully I’ve only been once, on a flying visit to Belfast! I would LOVE to go to Dublin and also see the Cliffs of Moher (I’m a bit obsessed with cliffs), think I may have to make it a priority in 2016! I think you should. I found a lot of similarities culturally, between Scotland and Ireland, and I think you will love it. Dublin’s great, and I didn’t have the time to make it to Belfast, but I am assuming it will be somewhat similar, but the real charm of Ireland lies deeper in the country, in the smaller towns, lesser people, more sheep and an alarming amount of green. My neighbour just came back from Ireland and absolutely loved it. I hope I get to visit soon. Looks like you had a great time. The Temple Bar area’s certainly a major tourist trap. But for good reason — great pubs, great music, and extreme gregariousness. Lately i have read many posts of yours Sanket. ENjoying the way you are introducing new places to me. Look forward to more from you. All the best! lovely account of a time well spent. Makes me want to go, despite i do not like the rain and cold at all! I know how you feel. I’ve only been to Dublin, too and felt like I missed a lot! Glad you enjoyed! You speak of Ireland as a beautiful place. Question though, I heard that if you go a bit further out from Dublin you’ll barely hear English and Dublin is dubed as the city where locals don’t speak Gaelic. Correct me if I’m wrong but nearly all Irish chef’s I’ve worked with speak very little Gaelic and they are all mostly from Dublin. The country side, I feel, is really a must visit place and as you have mentioned there’s a lot to see and country side usually expresses more authenticity than just simply spending all your time in the city. Ireland is certainly on my “to go to” list. I have always wanted to go there!